Several weekends ago, two prominent golfers succumbed to back pain. Fred Couples withdrew from a Senior Tour event after hitting one shot. He described the pain as nothing he had felt before. Tiger Woods minced around the course in obvious pain, finding it it hard to walk at times, and difficult to bend over so he could tee up the ball and get it out of the cup, most of the time. With Fred, this could be the last straw. His hyper-flexible swing caught up with him years ago. The back treatments he gets in Europe aren’t working any more. The last one he had was in July before the Senior British Open when he won. The treatment carried him through about four weeks. If he continues to play he could be setting himself up for a serious disability in his advanced years. I hope he thinks hard about his next steps. He has achieved great things in competitive golf so far. If he continues playing, he might likely pay a high price for more success that, in the end, would add little to his list of achievements. Tiger said his back pain was due to sleeping on a bed that was too soft. That may well be the case, though with Tiger’s history of hiding his ailments, there might be more to the matter than the wrong mattress. Even if it is only a matress, Tiger is at the age where his body is susceptible to daily life giving his back fits. He’s also at the age where the wear and tear of hitting so many golf balls can begin to have an adverse affect on his back’s health. We’ll see. Then there’s you. Professional golfers put little strain on their back because their swing is so efficient. Their back problems come from overuse (see Tiger, above). Recreational golfers, on the other hand, injure their back because of faulty technique. The wrong muscles are put into play, which puts a strain on the spine that it cannot tolerate for long. 1. It’s O.K. for your left heel to come off the ground. In fact, it’s a good thing, because is reduces the strain that the twisting motion of the backswing places on your lower spine. 2. Having a large X factor is a bad idea. That’s the size of the angle between your hips and your shoulders at the top of the backswing. Too great an angle sets up your spine for serious strain when you swing through the hitting area. You don’t have to swing to parallel to be effective or to hit a long ball. 3. Just like Julius Boros said, you can swing easy and hit hard. The women on the LPGA Tour, these little slips of a thing, hit the ball a lot farther than you do because of their mechanics. Their swing is efficient. If you build an efficient swing, you don’t have to swing so hard to get the distance you need. The main thing I can learn from Rory McIlroy’s swing is how to hurt myself. I’ll copy Suzann Pettersen’s swing and be just fine. Take care of your back. 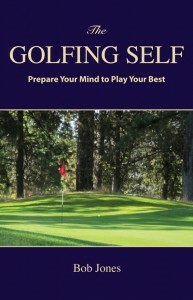 Warm up well before you hit balls, either at the range or the course. Swing within yourself. Have a lesson on swinging with back safety–the pro should be able to help you. 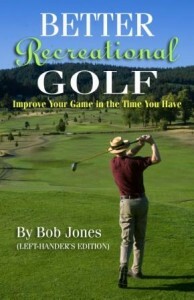 You want golf to enhance your life, not make it more difficult. Retief Goosen had back surgery recently to treat pain and will be out indefinitely. – Golfweek, September 7, 2012. Back in the late 1980s I used Hogan’s Five Lessons to model my swing, even though I am no where as strong or athletic as Hogan was. Nevertheless I had a decent swing with good results. I quit playing from 1992 until 2009 to spend time with my kids. In the meantime I somehow herniated 2 lumbar discs (not from golf, obviously). When I started playing again, I could not use the Hogan swing, or in fact any conventional rotational swing as I would develop more back pain. In searching the web for back exercises for golfers, I came upon Dom Trahan’s (PGA Master Professional from South Carolina) limited rotation 3/4 swing approach (www.swingsurgeon.com). Don developed this approach about 30 years ago when he was having hip pain. I’ve been playing weekly for 3 years now with very little back pain due to golf using Don’s swing, with no loss of distance. It’s probably not for everyone, but it does work for a lot of golfers; if you read his blog responses many of his adherents would have quit playing except for his method. The price of his videos is less than a lesson from your local pro, and I think he still has a money back offer, but I’m not sure. It isn’t the conventional rotational swing you see weekly on TV (although his son, D. J. Trahan, is on tour and using this swing), but it is a solid approach and, IMO, more in line with human physiology than the rotational swing (and even more so compared to Hogan’s). Bob, you can delete this if it seems like too much of a commercial, but I know I wouldn’t be playing golf today if not for Don’s method. I’m just a satisfied customer, I’m not receiving any financial benefit from Don; I’m just hoping someone who needs it reads this and can continue playing golf. This comment is just fine. Thank you for letting us know. Anyone else who has found a way to swing a golf club pain-free after having had serious back complications, or surgery, is welcome to comment, too. 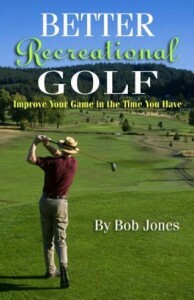 Many of the exercises I got from my physical therapist following my surgeries are found in Dr. Frank Jobe’s book, 30 Exercises for Better Golf. I believe all golfers should be on an golf-specific exercise program. Thanks for the exercise book reference. I need to check it out.